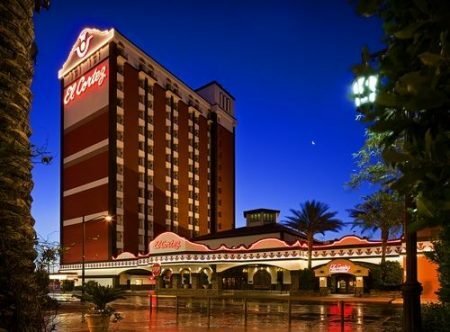 The El Cortez Hotel and Casino, 600 Fremont Street, located in the heart of Vegas, offering great entertainment and business options for guests. 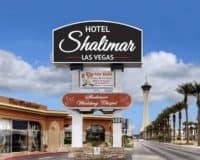 The El Cortez Hotel and Casino, is located Downtown on the historic Fremont Street, one of the most legendary parts of the entertainment capital of the world, while the Strip is just a short drive from the hotel. This makes it an ideal choice for people visiting Vegas for fun and enjoyment. The hotel offers a great range of amenities, including a well-equipped gym, where guests can maintain their usual fitness regime, free WIFI accessible throughout the property and complimentary parking. All of this is made secure, by the twenty-four-hour reception desk and the security guard, which ensures that you will feel totally safe during your stay. There is also a restaurant and bar onsite, allowing guests to eat and drink before a night out on the town. Business people will appreciate the business center and lounge facilities a great place to hold meetings or greet clients before going out. 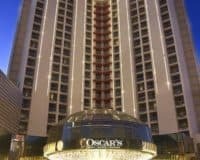 The casino attached to the property offers all the usual Vegas staples, including exciting slots and table games, along with an exciting sportsbook and poker facilities. The rooms are comfortable and modern, offering huge forty-two-inch flat-screen televisions equipped with cable and iPod docking stations. This is combined with comfortable beds and ergonomic workspaces, ensuring that you will feel totally at home during your stay. The El Cortez Hotel and Casino is great for anyone who wants to stay in the very heart of Vegas, offering great entertainment and business options for guests. Ensuring that you get the absolute most out of your time in Vegas, whatever the purpose of your stay.